One of Mexico’s top tourist destinations, Cancun attracts visitors year-round with its fabulous weather but is most busy from December through April. 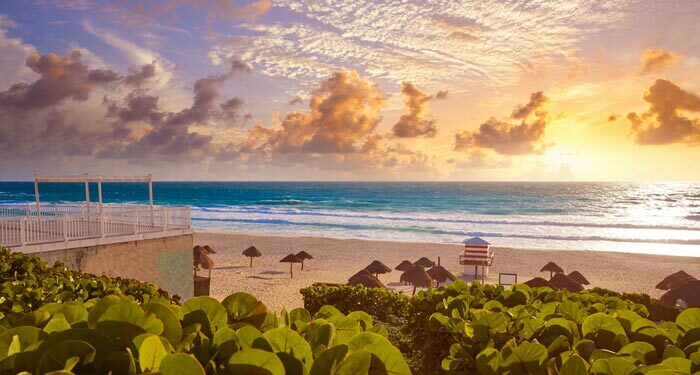 Known as a popular Spring Break destination with vibrant nightlife, Cancun also has a quieter side that makes it great for families or couples and is the perfect gateway to the amazing Mayan ruins of Tulum and Chichen Itza. Combine days on the beach with visits to archeological wonders, explore museums and shopping centers, and enjoy the beautiful scenery. Get the details of all these attractions and more in our top 10 things to do in Cancun. 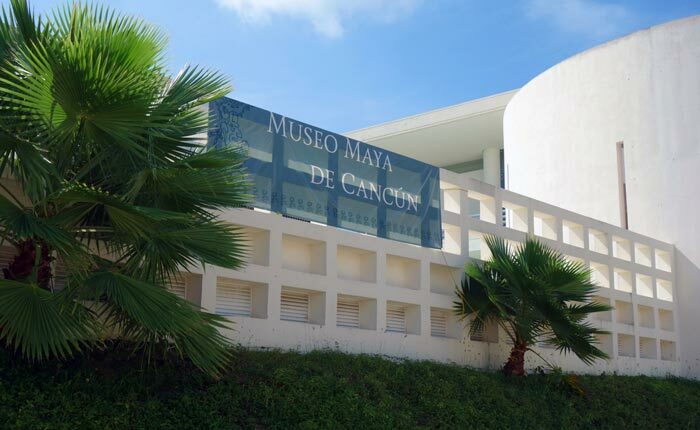 Whether you’re planning a trip to see Mayan ruins or not, Cancun’s Mayan Museum will give you a great introduction to the long history of this area. Set amidst the hotels of the city’s tourist zone, the culture that this museum brings is a welcome change from bars, shops and restaurants. 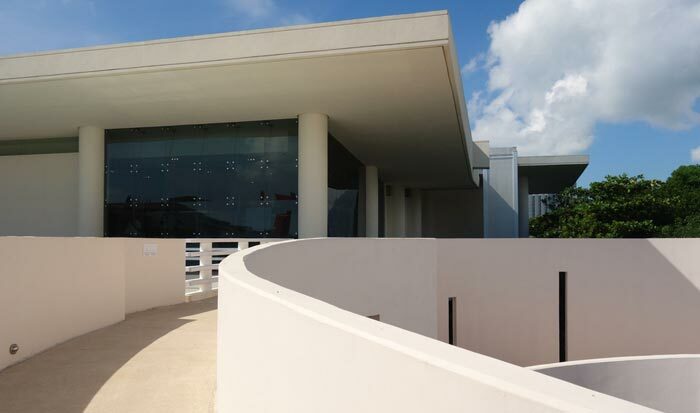 The museum houses one of the region’s most important collections of Mayan artifacts, all presented in a beautiful building where the price of admission also gets you entry into the neighboring San Miguelito archaeological site. Here you get two Cancun attractions in one! 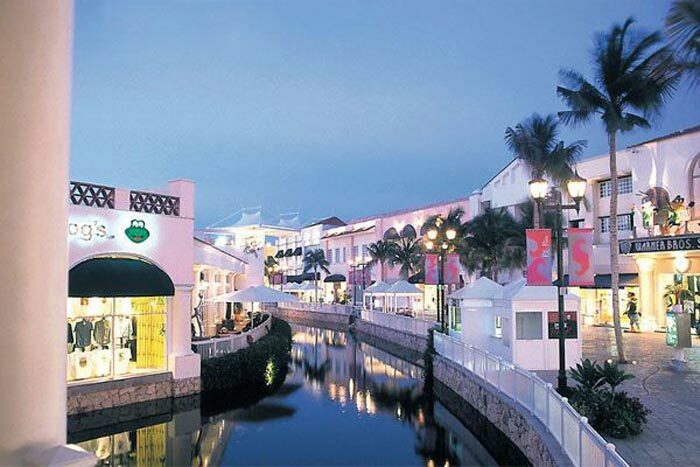 You cannot visit Cancun without experiencing at least some of its nightlife! This is one of the top Spring Break destinations for North Americans, and for good reason. Filled with bars and clubs, you can get crazy and hang loose in a different venue every night of your stay, whether you want to dance or just enjoy a few drinks. Among the top nightlife venues are Coco Bongo Cancun, The City Discotheque, and Palazzo Cancun, but if you want to enjoy a quieter drink there are many quieter bars to choose from too. Zona Arqueologica El Rey proves that you don’t have to drive for hours to visit impressive Maya remains. 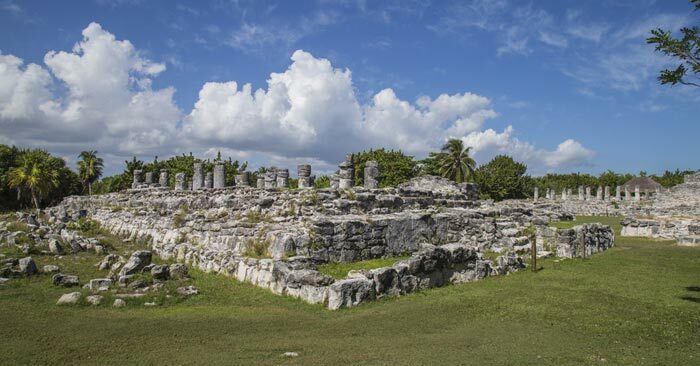 This archaeological zone can be found right in the heart of the tourist area, on the west side of Kukulcan Boulevard and just opposite Playa Delfines. The affordable entrance price and easy accessibility makes this a popular Cancun attraction where you can see ruined buildings and lots of iguanas scuttering about! One of the smaller beaches in the tourist zone of Cancun, Playa Caracol is stunningly beautiful all the same, and does not get overly busy; two reasons why this beach makes our list of top things to do in Cancun! Situated at the northern end of the tourist island, this beach is lined by several large hotels and is close to some bars and shops but if you’re looking for a quiet beach to spend the day, this is it. Bring a snorkel and mask to enjoy the crystal clear water, or lie on the soft sand. 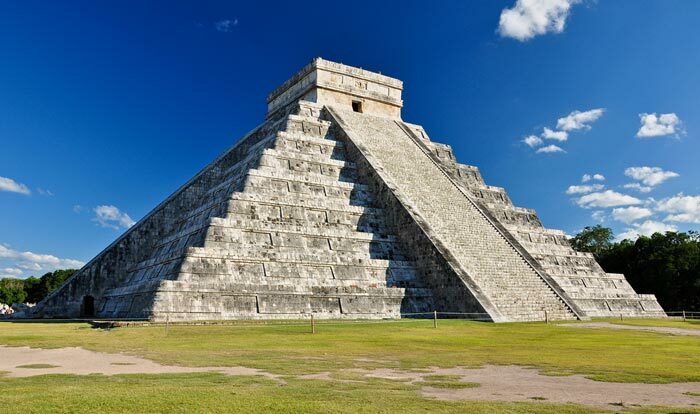 Right here in Cancun you can visit Maya ruins which are quite spectacular, but, as the gateway to some of Mexico’s most famous ruins you should not miss taking a day trip to Tulum and Chichen Itza. 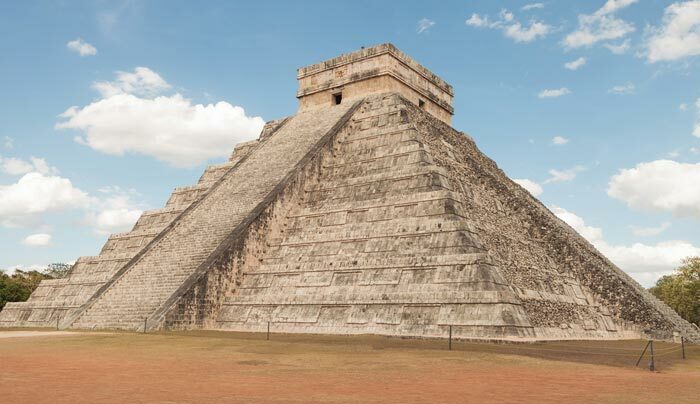 Chichen Itza is among the most visited archaeological sites in Mexico, dominated by the impressive El Castillo, and driving here takes around 3 hours. Tulum is closer, at around 2 hours drive, and is one of the best preserved coastal Maya sites. Both are popular things to do in Cancun, and there are many different tour companies you can choose from to take you there. 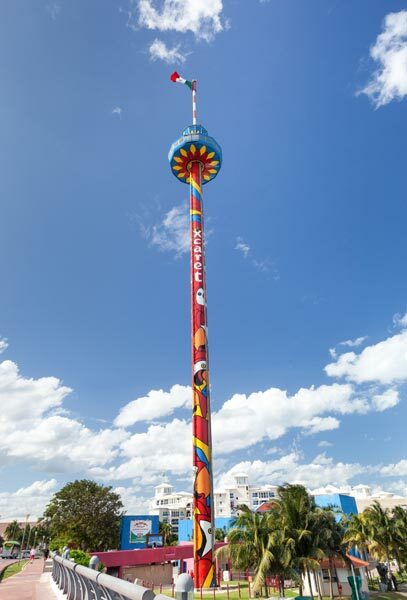 Meaning “scenic tower”, Torre Escenica is one of Cancun’s most underrated attractions! This observation tower provides the perfect way to see Cancun from up high, without having to stay in a high-rise hotel! The observation platform rotates around 360 degrees as it climbs the 80-meter high tower, providing amazing views of the island, its beaches, and the gorgeous turquoise waters. Although the journey to the top does not take very long, tickets for Torre Escenica are included in the price of an Xcaret Park tour, or buy them separately. 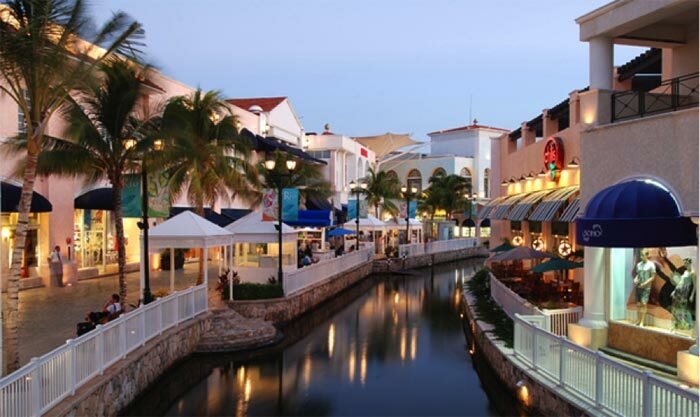 There are lots of places to shop in Cancun but if you’re looking for a center with a great variety of stores as well as restaurants and a very nice ambiance, look no further than La Isla Shopping Village. 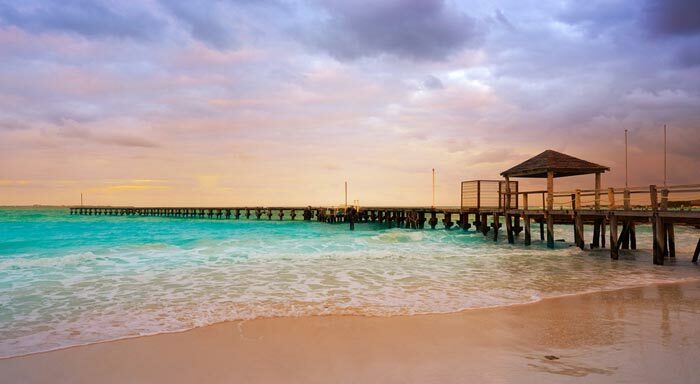 This makes our list of what to do in Cancun because it’s nicely laid out with bridges and views, and La Isla has stores to suit all budgets, from designer labels to touristy stores with souvenirs. There are jewelry, clothing, and sunglasses to name a few; seafood restaurants and affordable places to buy tacos, and if you’re here with kids be sure to visit the aquarium. 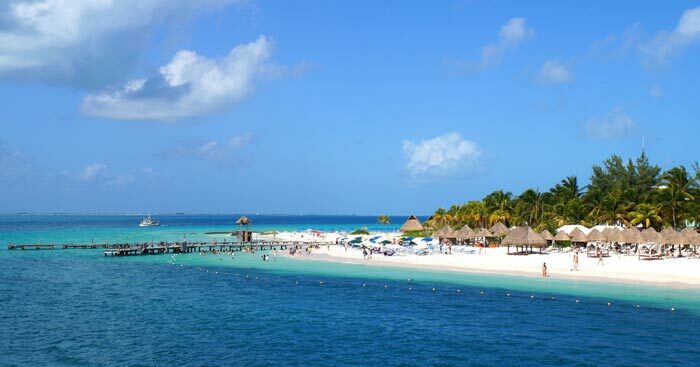 Just off the coast and a little north of Cancun is Isla Mujeres. 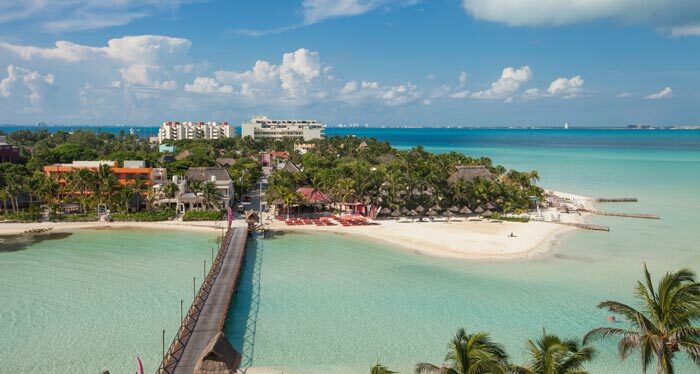 A popular day trip from the tourist zone, Isla Mujeres is actually a great destination in its own right; quieter and more affordable than Cancun, and with a number of different attractions. Easily reached by ferry, the island is popular for snorkeling and scuba diving thanks to the many coral reefs, and for extra adventure explore the Cancun Underwater Museum, a very unique Cancun attraction. 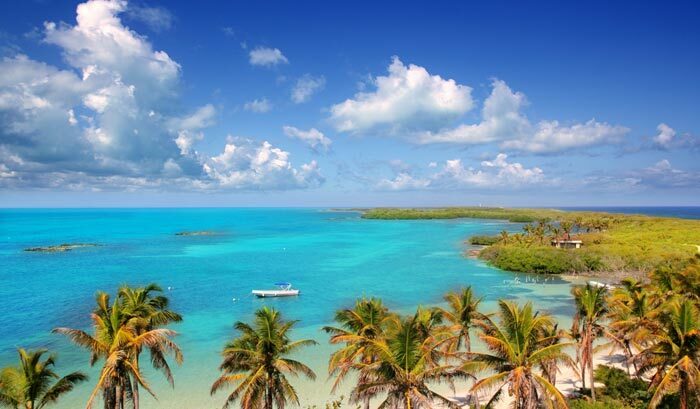 When you want to spend some time away from the crowds of Cancun, Parque Nacional Isla Contoy is the place to go! Half day or full day trips can be taken from Cancun, and the ensure that the island stays protected, just 200 visitors are allowed here each day. Home to four different species of turtle, and over 150 tropical marine birds. Walk around or just sit and enjoy the pristine beaches and peace and quiet, or snorkel and see what’s swimming just under the water. 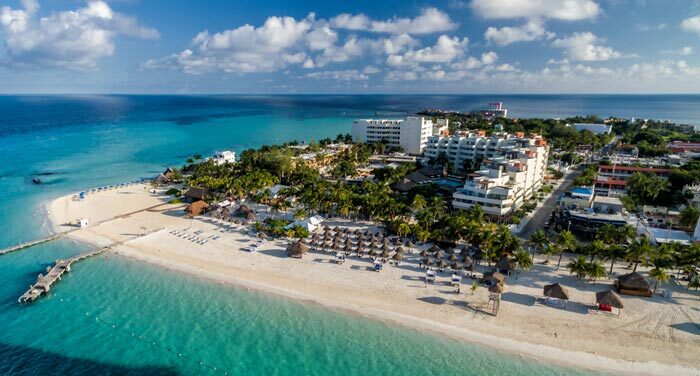 Set on a long and narrow island, Cancun’s tourist zone is filled with beaches lined with hotels, resorts, restaurants, and shops and of these, Playa Delfines is consistently ranked the best. This wide, white sand beach is simply beautiful and is often quieter than some of the other beaches because it’s a little further away from the main shopping areas. Despite this, it’s home to the famous Cancun sign where there is always a long lineup to take photos! 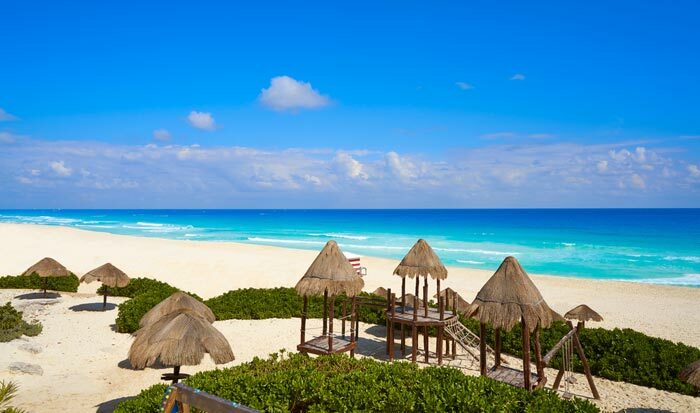 For a relaxed day on the beach, definitely add Playa Delfines to your list of what to do in Cancun.